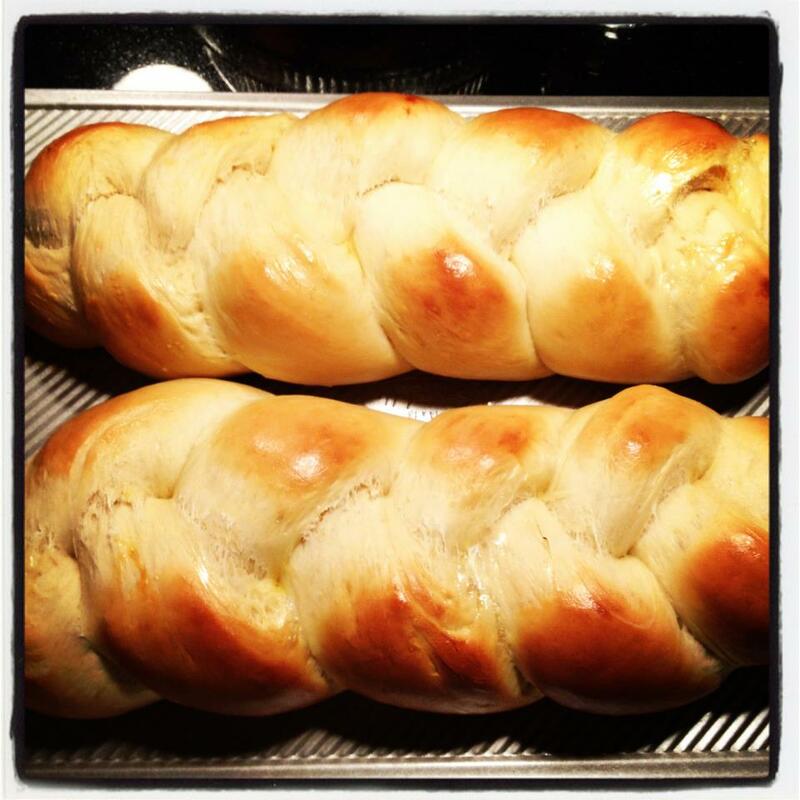 Challah is a loaf of yeast-risen egg bread that is traditionally eaten by Jews on the Sabbath and at other holidays. Today, this sweeter bread is enjoyed by the masses and is especially good to use for French toast creating. The recipe yields two loaves. They can be topped with sesame or poppy seeds. I do a double egg wash for a super shiny finished product. This recipe can also be made a day ahead of time. In a large bowl, sprinkle yeast over warm water. Beat in honey, agave, oil, 2 eggs, and the kosher salt. Add the flour one cup at a time, beating after adding each cup of flour. 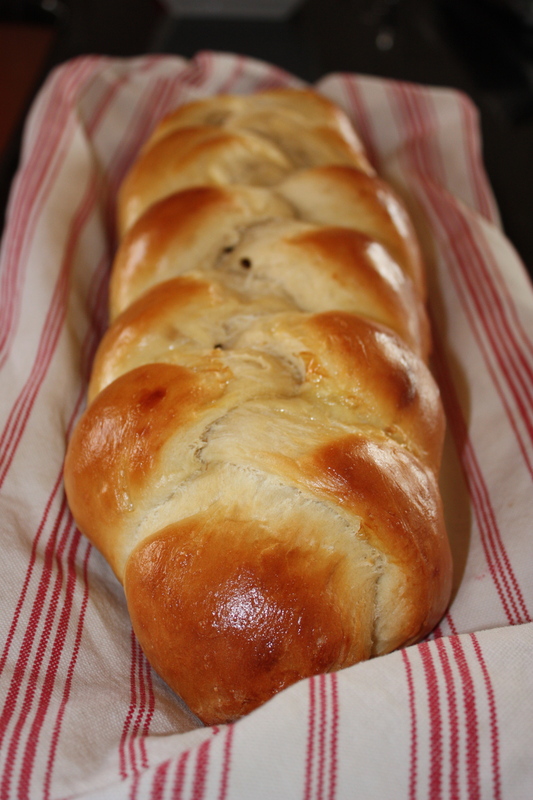 Knead until smooth and elastic and no longer sticky – I used my dough hook with my mixer for 4 minutes. Cover with a damp clean cloth and let rise for 1.5 hours. Punch down the risen dough and turn out onto floured surface. Divide in half. Working with one half at a time – then divide the dough into 3 equal amounts. Roll into long snake about 1 1/2 inches in diameter. Pinch the ends of the three snakes together firmly and braid from middle. Pinch the ends together and tuck under the loaf. Grease two baking trays and place finished braid or round on each. Cover with towel and let rise about 45 minutes. Preheat oven to 375. 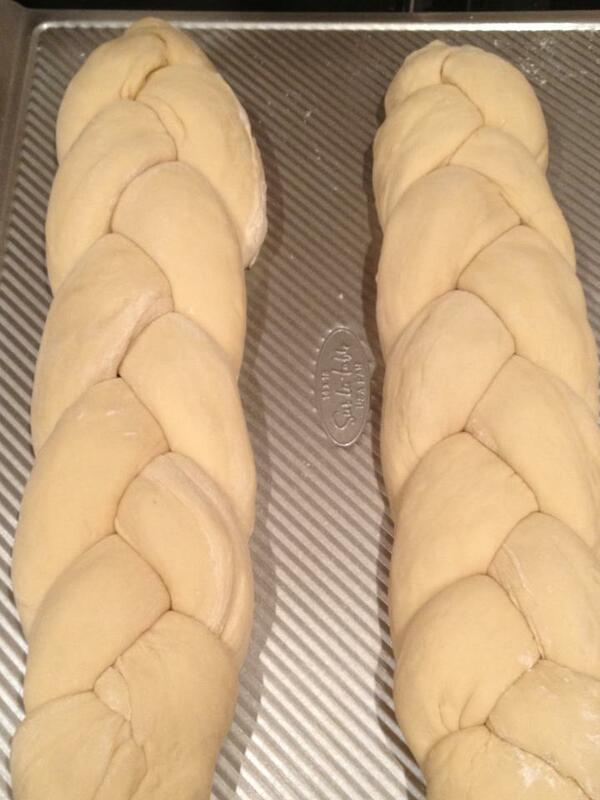 Beat the remaining egg and brush a generous amount over each braid two times. Sprinkle with poppy seeds if desired. Bake at 375 for about 25 minutes or until nicely browned. Bread should sound hollow when thumped on. Cool on a rack for at least one hour before slicing.